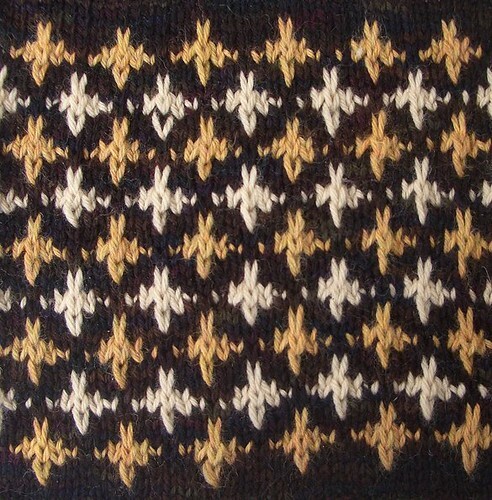 Comments, if any: The dip stitches were easy and fun to do. 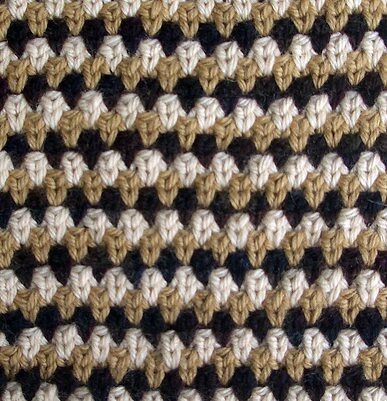 The yarn that is carried in back must be kept loose or the pattern will pull in. 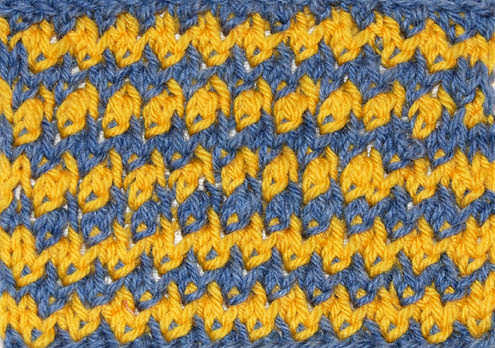 Comments: working this stitch is pretty hard on the hands. 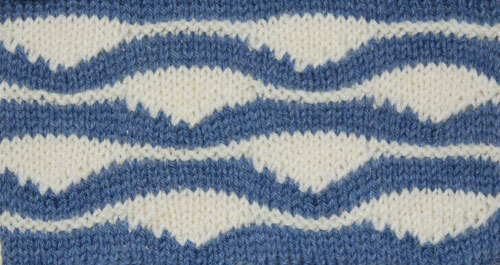 Comments: These short rows do not involve wrap-and-turns; do be careful about pulling the edge stitches too tight. Comments, if any: This is a “Turning” pattern and some sts are slipped. While Walker does not indicate how to slip the sts, the work looked much better when I slipped them knitwise. 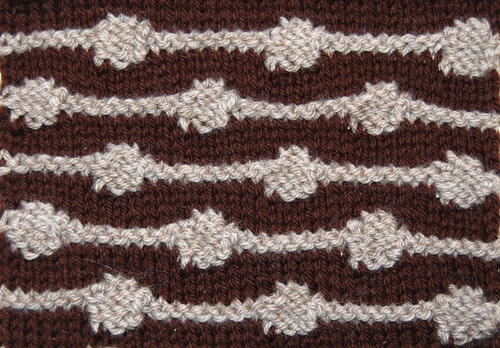 Comments, if any: Twisted stitches and stranded yarn on ws create a dense fabric. 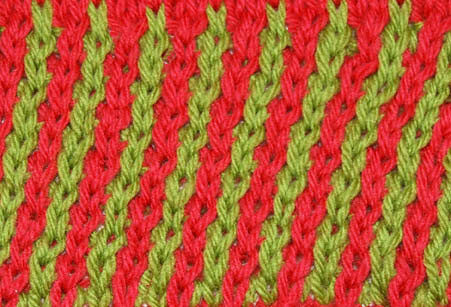 Comments, if any: As Rickrack Stripe, this pattern tends to skew to the left. As you can see, it is a spacey, light fabric.